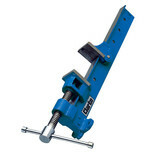 Simple to use, clamp onto workpiece and guide your power tool to create perfect straight edges and accurate cross cutting, routing etc. 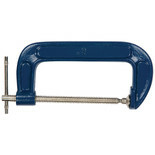 Robust sash clamp set, heavy 'T'-bar style construction and it is ideal for both the domestic and trade user. 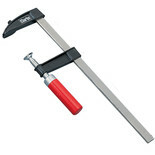 Supplied in sets of two, this 36" cramp set represents exceptional value for money. 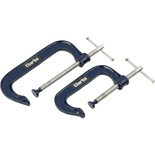 Robust sash clamp set, heavy 'T'-bar style construction and ideal for both the domestic and trade user. 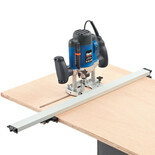 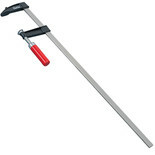 Supplied in sets of two, this 72" cramp set represents exceptional value for money. 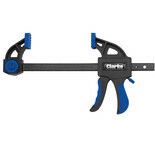 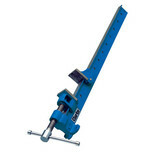 This Clarke spreader clamp can be used as aspreader or compression clamp by a simple head reversal. 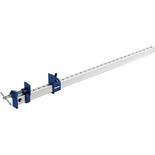 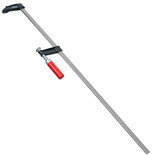 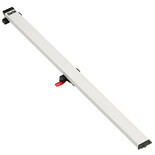 This is an easy to use and lightweight, aluminium sash cramp.